World Sailing TV video above Nov 3, 2018. World Sailing TV video above Nov 2, 2018. World Sailing TV video above published Oct 31, 2018. World Sailing TV video Oct 30, 2018. World Sailing TV video Oct 30, 2018. See also Safety in Sailing Forum video Oct 29, 2018. What a year...and it's not over yet! 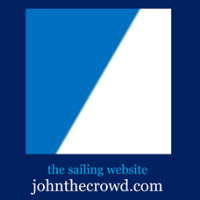 The World Sailing Show video published Oct 25, 2018: a quick reminder of some of the top stories of 2018. The World Sailing Show video above published Oct 25, 2018: Challengers of Record Luna Rossa brought the America's Cup show to its spiritual home, Cowes, Isle of Wight (IOW) as plans for the 36th America's Cup in Auckland 2021 were unveiled. INEOS TEAM UK video above published Oct 25, 2018: INEOS TEAM UK's test boat T5. September is a joyous time for the international yachting fraternity. The Maxi Yacht Rolex Cup followed in alternate years by the biennial Rolex Swan Cup attract Corinthian and professional crews for a fortnight of racing on cutting-edge craft off Sardinia’s Emerald Coast. In 2018, class winners received Rolex timepieces as part of the long-standing partnership between the Swiss watchmaker and organizer of the regattas, the Yacht Club Costa Smeralda. The Rolex World of Yachting, Spirit of Yachting video above published Oct 19, 2018. Les Voiles de Saint-Tropez is the elegant finale to the Mediterranean yachting season. In 2018, some 4,000 sailors and more than 300 modern, classic and Wally yachts competed in the week-long nautical festival. The Rolex Trophy went to 110-year-old Viola, a vintage boat that is the embodiment of traditional sailing. The 20th edition of the regatta was once again organized by the Société Nautique of Saint-Tropez, a Rolex partner since 2006. Rolex World of Yachting video above published Oct 15, 2018. On the year of its 50th anniversary, a record fleet of close to 150 yachts is set to contest the 2018 Rolex Middle Sea Race. First held in 1968, the race has developed from its humble, Corinthian origins into an international event of repute attracting yachts from some 30 different countries. The Rolex Middle Sea Race’s 606-nautical mile course is not only challenging but beautiful taking in active volcanoes, rugged islands and numerous encounters with wildlife. To mark this year’s occasion, race organisers Royal Malta Yacht Club have put in place a number of special events and celebrations. Triumphing at this year’s anniversary edition will hold an even greater appeal for competitors - from the challenge of breaking the 11-year old race record to overall victory on IRC handicap. Legendary and Olympic sailor Paul Cayard describes the allure of one of the Mediterranean’s most important offshore races. The spectacular footage captures the highlights of his impressive sailing career and the majesty of Malta’s historic regatta. The sound of the Saluting Battery cannons sets the fleet off from Valletta’s Grand Harbour to the Strait of Messina, leaving Sicily to port and passing the active volcano of Stromboli followed by the Aeolian and Egadi islands, before eventually returning through the South Comino Channel and the final stretch to the finish, off the Royal Malta Yacht Club. The 606-nautical-mile adventure is a favourite for professional and Corinthian sailors alike, who revel in the sheer beauty of the course. The racing area will be the waters of the Central Mediterranean extending from the island of Malta, around the island of Sicily, the Aeolian Islands, the Egadi Islands, and the islands Pantelleria and Lampedusa. Starting from Grand Harbour, boats will sail a course leaving to port the Island of Sicily, the Aeolian Islands (including Strombolicchio), the Egadi Islands (except Marettimo Island), Pantelleria and Lampedusa Islands, through the South Comino Channel, keeping Malta to starboard, to the finish line in Marsamxett Harbour. The Islands of Ustica, Linosa and Lampione are not marks of the course. 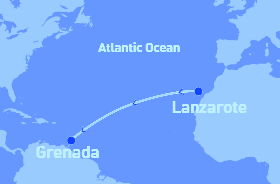 The length of the course is approximately 606 nautical miles. The Course Record, established by "Rambler" in 2007, is 1 day 23 hours 55 mins 3 secs. Official website: rolexmiddlesearace.com. See also: http://yb.tl/rmsr2018. Extreme Sailing Series video Oct 21, 2018. Extreme Sailing Series video Oct 20, 2018. Extreme Sailing Series video Oct 19, 2018. Extreme Sailing Series video Oct 18, 2018. With the racing taking place just five metres from the shore of Harbor Island, the man-made peninsula located close to Downtown San Diego, the Series will return to the city for the penultimate Act of the season. Enjoying a very temperate climate, the Californian city of San Diego sees consistent breezes, making it a popular sailing spot for California and the rest of the west coast. Quantum Sails video above published May 9, 2018. CONGRATULATIONS to Quantum Racing for winning the 2018 52 SUPER SERIES. Platoon finished on level points to Azzurra, but take second after countback. The final day came with all of the drama you would expect from the Star class and on a day of big breeze and challenging conditions. Video above published Oct 13, 2018. Presented by Maryland's Sports Commission. The international Star class is the second oldest international organization in the history of sailing. It has a rich history that is memorialized by the perpetual trophies it awards throughout the week to the competitors. Video above published Oct 12, 2018. Presented by Maryland's Sports Commission. GC32 Racing Tour video above published Oct 14, 2018: large seas rolling into the Rade de Toulon’s open southeasterly side prevented racing on the final day of the 2018 GC32 TPM Med Cup, last event of the GC32 Racing Tour. The eight foiling catamarans ventured out on to the race course ready for a midday start. While 18-20 knots of wind is usually sailable for GC32s, building waves effectively made it ‘survival conditions’. If racing had been held, boats and possibly crew would have been damaged, reasoned the race committee, who finally raised ‘AP over A’, signalling the abandonment of racing, at 1350. The GC32 TPM Med Cup is the final event of the GC32 Racing Tour 2018 season. GC32 Racing Tour video above published Oct 13, 2018: On the penultimate day of the GC32 TPM Med Cup, Franck Cammas’ NORAUTO powered by Team France fought back to second place overall after a disappointing Friday when they were crippled by a broken foil. GC32 Racing Tour video above published Oct 12, 2018: day two of the GC32 TPM Med Cup, the final event of the GC32 Racing Tour, held with support from Toulon Provence Mediterranée and the city of Toulon. Star of the day was unquestionably Ben Ainslie and his America’s Cup crew on board INEOS TEAM UK. The British team won three consecutive races of today’s five, coming second in the remaining two. This was despite being called over early in the first race – today’s only race held with a reaching start (due to a wind shift, the latter four races had upwind starts). The GC32 TPM Med Cup is the final event of the GC32 Racing Tour 2018 season. GC32 Racing Tour video above published Oct 12, 2018: best shots from the opening day of racing at the GC32 TPM Med Cup. The GC32 Racing Tour 2018 concludes in the south of France, at Toulon, France’s third biggest Mediterranean port and capital of the Var department. Toulon is fast gaining notoriety in yacht racing circles having hosted the high profile French stop of the America’s Cup World Series in September 2016. Boat berthing and the race village are in the marina attached to the Yacht Club de Toulon. 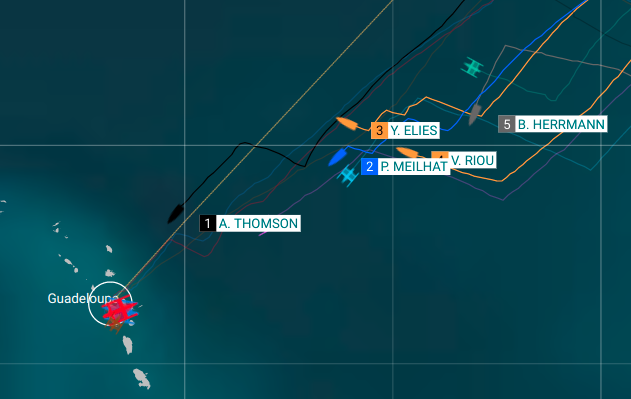 Racing will take place on the Rade de Toulon, with prevailing winds from the west. The bay is well protected with the potential for perfect GC32 foiling conditions: wind and flat water. Two top French teams are competing, both with crew from the French America’s Cup team. Extreme Sailing Series video above published Oct 11, 2018. Extreme Sailing Series, San Diego, Oct 18-21, 2018. The adrenaline-fuelled Extreme Sailing Series™ returns to Harbor Island, San Diego, October 18-21, following its successful debut in 2017. The penultimate stop on the action-packed global tour will play host to a fleet of elite-level international sailing teams, whose crew boasts Olympians, World Champions and America’s Cup superstars.